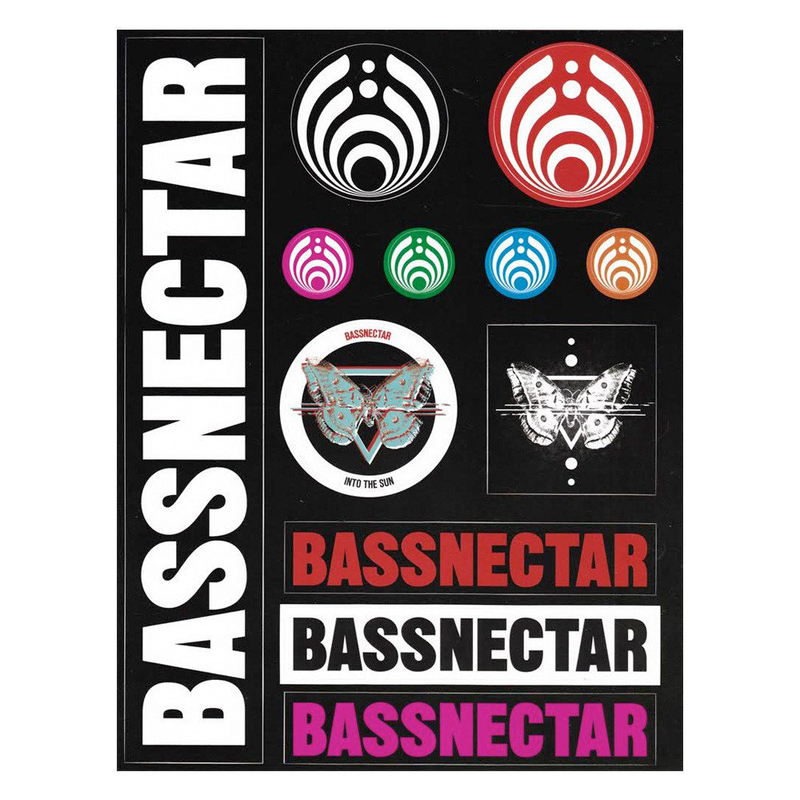 Sticker sheet containing 12 stickers featuring a variety of Bassnectar logos. Sheet measures 8.5" x 11". 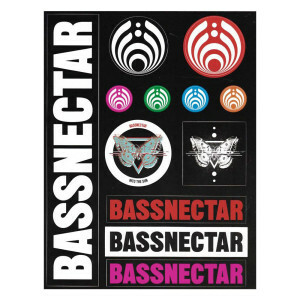 Loved the stickers they were exactly what I wanted. I have them stuck all over my to go cups, mirrors, and lock boxes! !